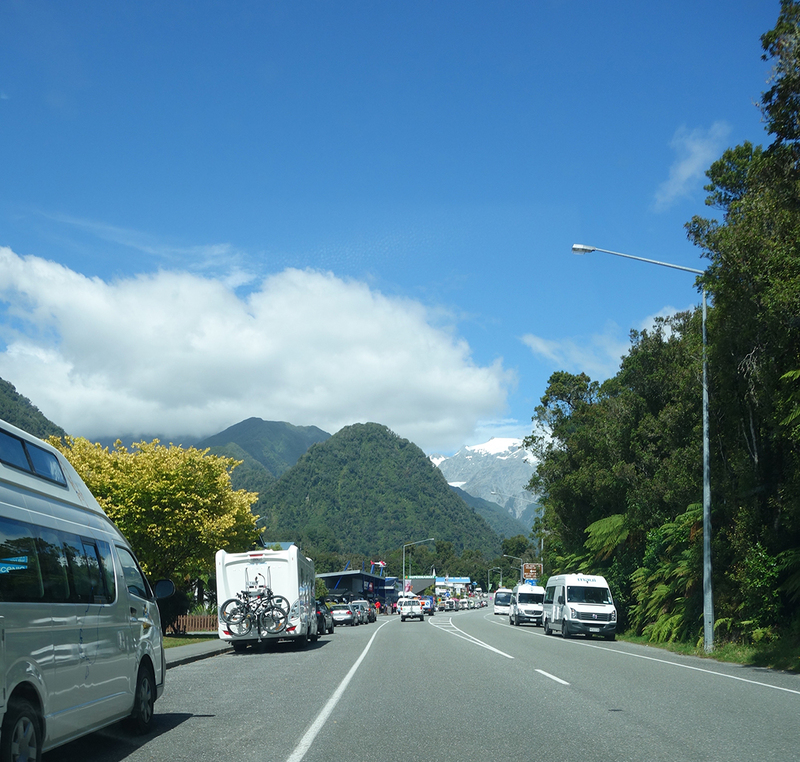 From the rain forest beaches along Highway 6, it is just a short drive up into New Zealand’s glacier territory. For our visit, we decided to hike Franz Josef first and then drive on to spend the night in the smaller town of Fox Glacier and hike that the second day. Very lucky with weather on our approach to Franz Josef! 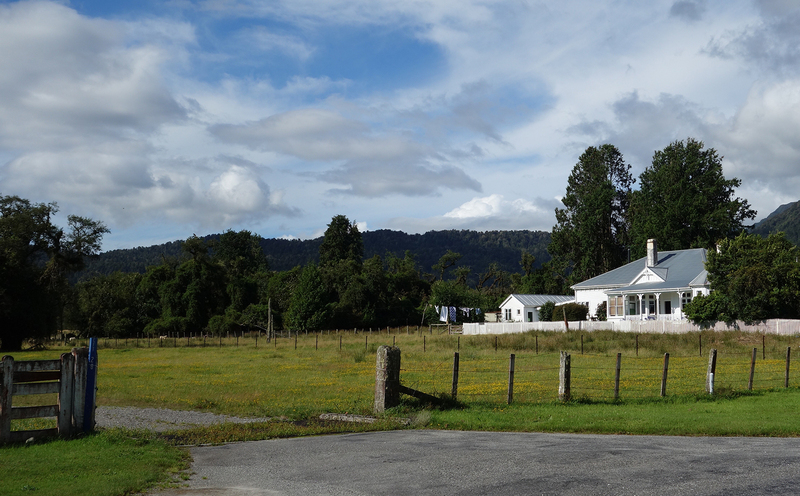 As you can see here, the town of Franz Josef is really more of a helicopter and RV port for visitors to the country. Instead of a $400 heli-hike, Rob and I decided to walk on the hour and a half national park trail to the base of the glacier. 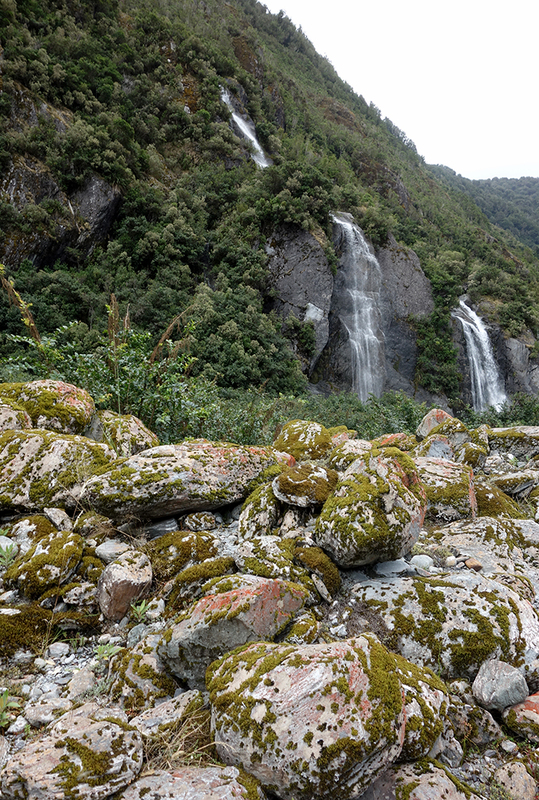 The scenery in the valley is pretty breathtaking, with waterfalls, rushing rivers and so much lichen. 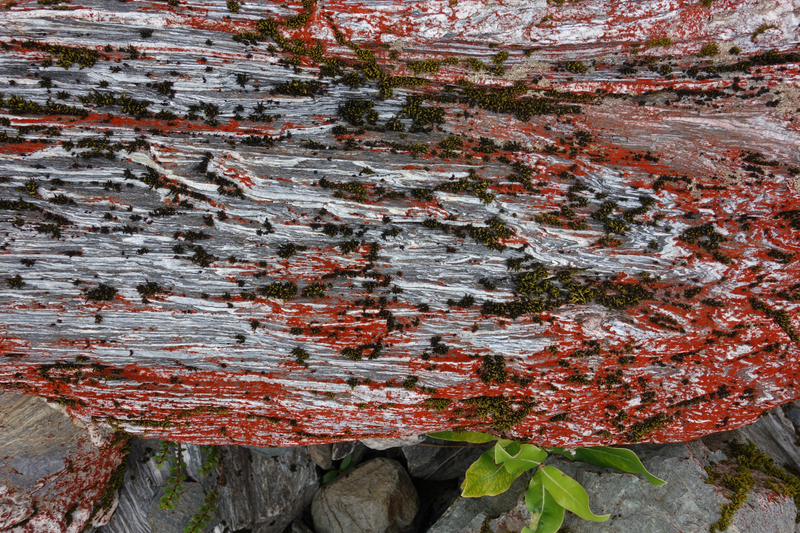 It looks like someone has painted the tops of all the rocks red thanks to an especially vivid lichen here. It was warm enough for me to hike in a tank top all the way to the glacier. I’m a bit slower on the inclines with this bump but Rob helped pull me up the steeper parts of the trail. On to our camp for the night. 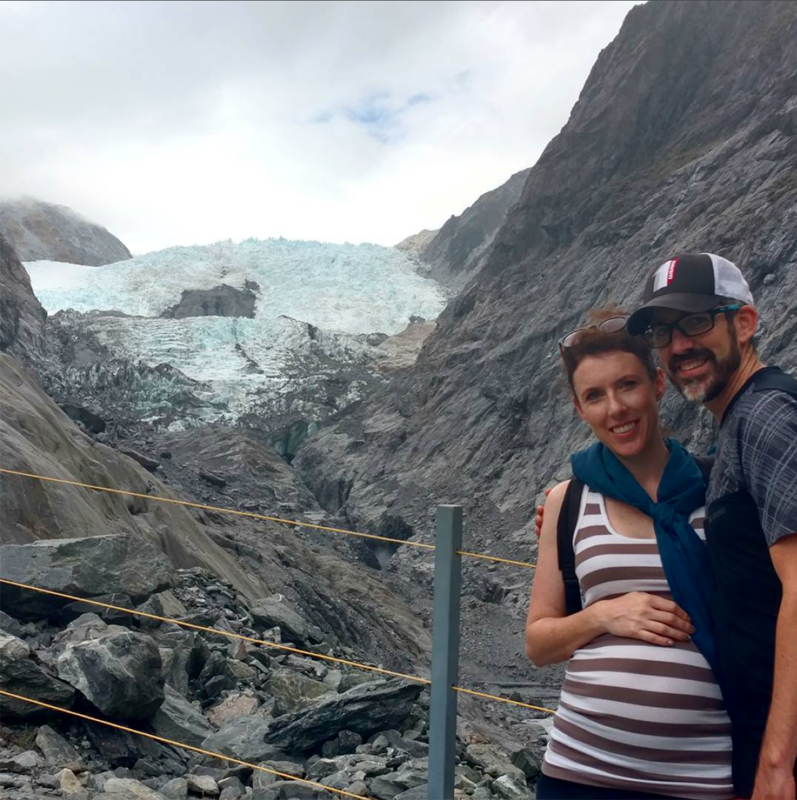 The town of Fox Glacier is adorable. 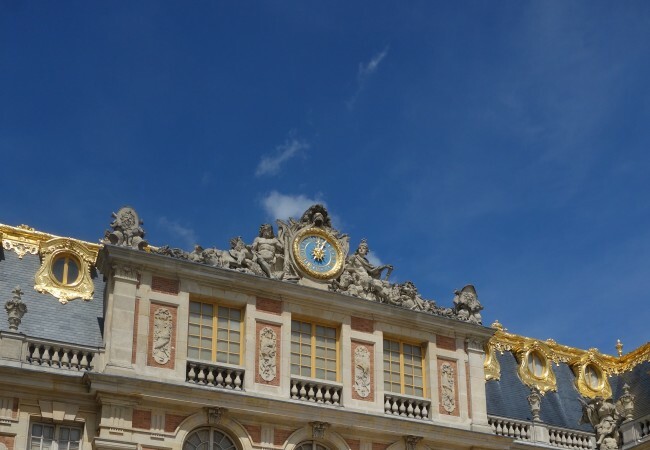 A wide farming valley with some historic homes, a couple restaurants and a handful of hotels. 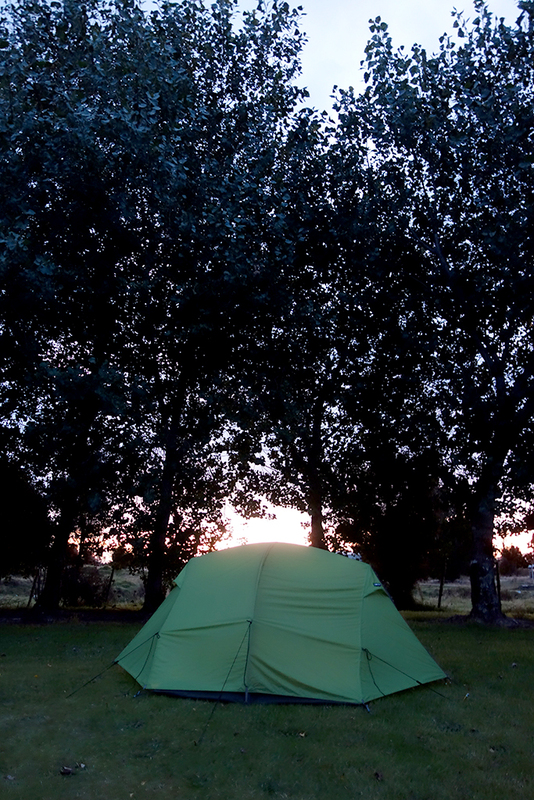 Rob and I got a campsite at the “Top 10” (a KOA equivalent) in town. 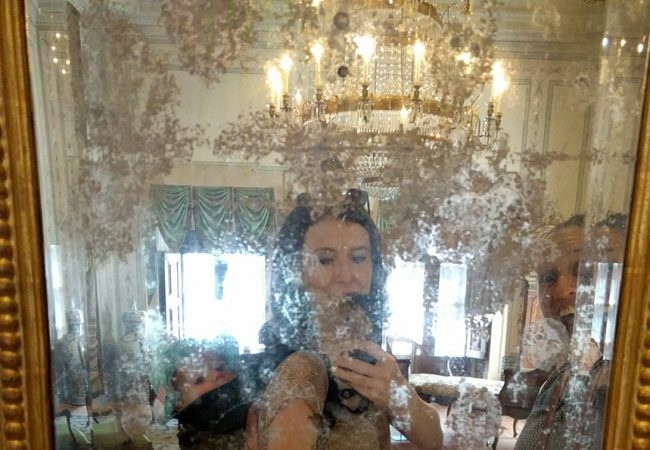 We walked around, getting a beer and ice cream at the historic hotel and picking up groceries for dinner before turning in for the night. 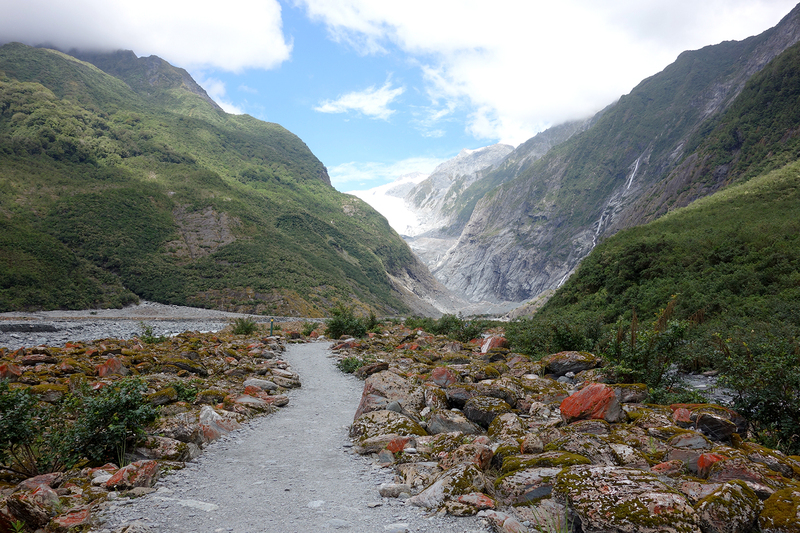 It rained pretty hard that night – the more typical glacier weather had returned! 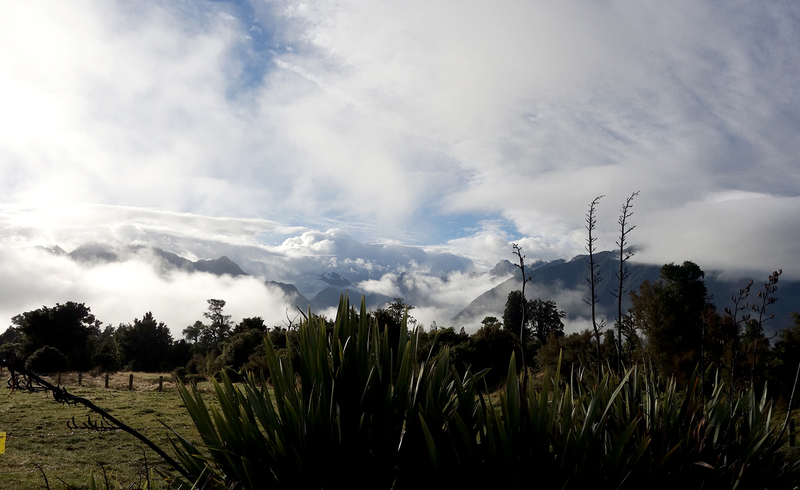 We got a brief break in the rain after breakfast and dashed out to Lake Matheson. You can almost see Fox Glacier in the stormy distance here. Gorgeous hike around the mirror lake, even if we didn’t manage to capture the classic mountainscape reflection photo thanks to the clouds. 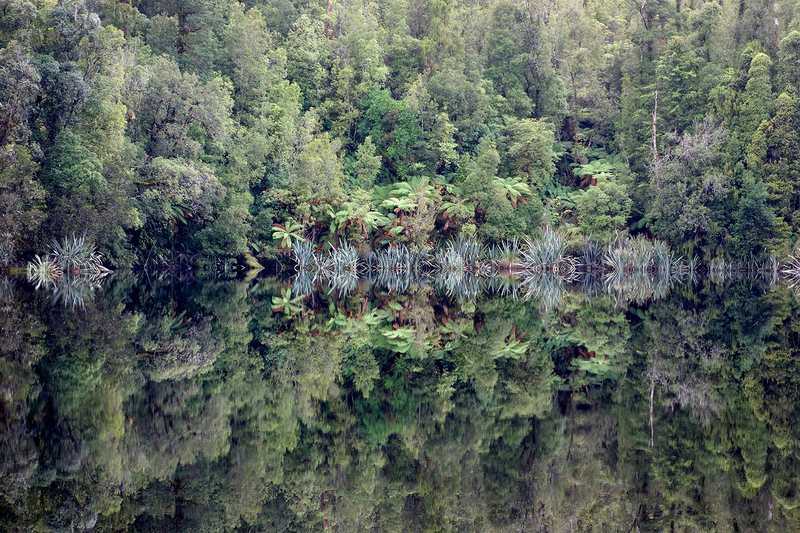 Just the reflection of the tree ferns and brush in the late was fairly impressive. There’s a nice gift shop and cafe out here too if you’re planning an early morning visit. 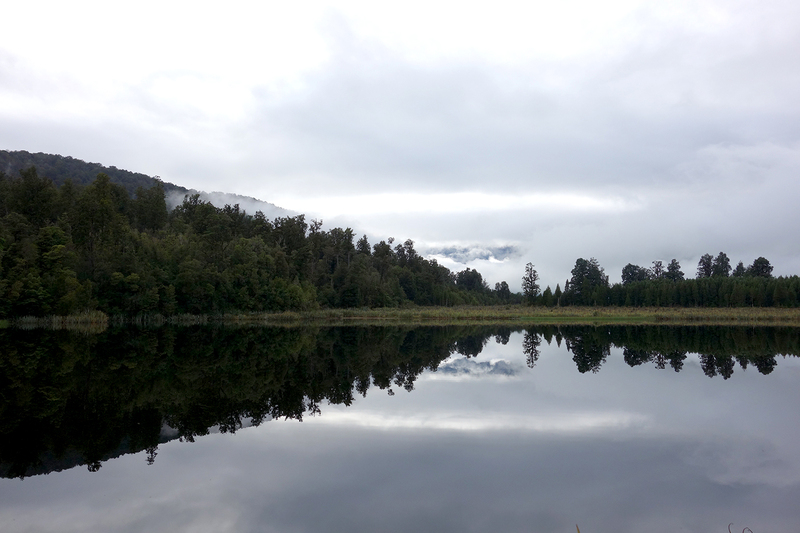 We drove on to the trailhead for Fox Glacier – with the rain returned. This is a shorter hike to see the glacier than at Franz Joseph and I forgot my camera in the car when gearing up in rain layers. Very dramatic, very “Lord of the Rings” and lots of waterfalls.